I have a publishing site containing pages with custom pages page layout and custom content type. All the documents, and site pages are appearing on search results but it is not showing results from Publishing "Pages" library. 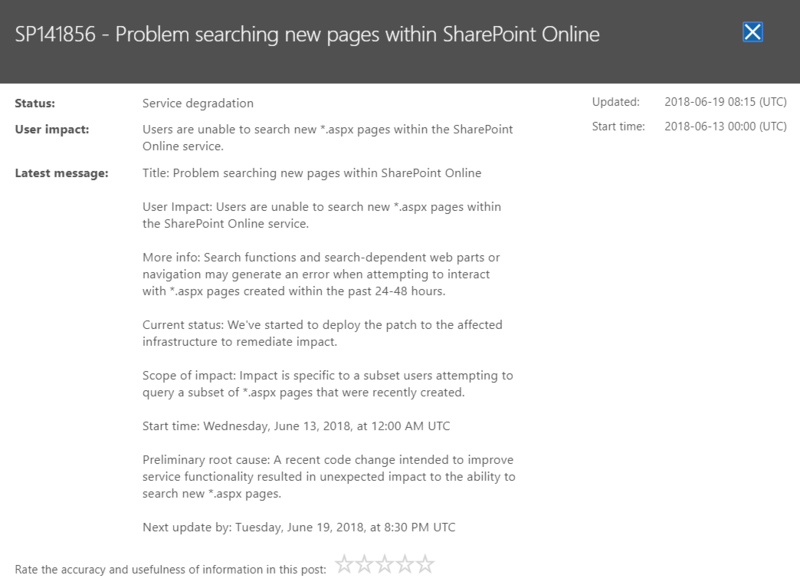 There is an issue going on with SharePoint online because of which .aspx pages are not getting indexed. Expected time for a fix is tomorrow. It is visible in the Admin center. You need Admin credentials to check it. Not the answer you're looking for? Browse other questions tagged sharepoint-online search-results enterprise-search crawling index-component or ask your own question.